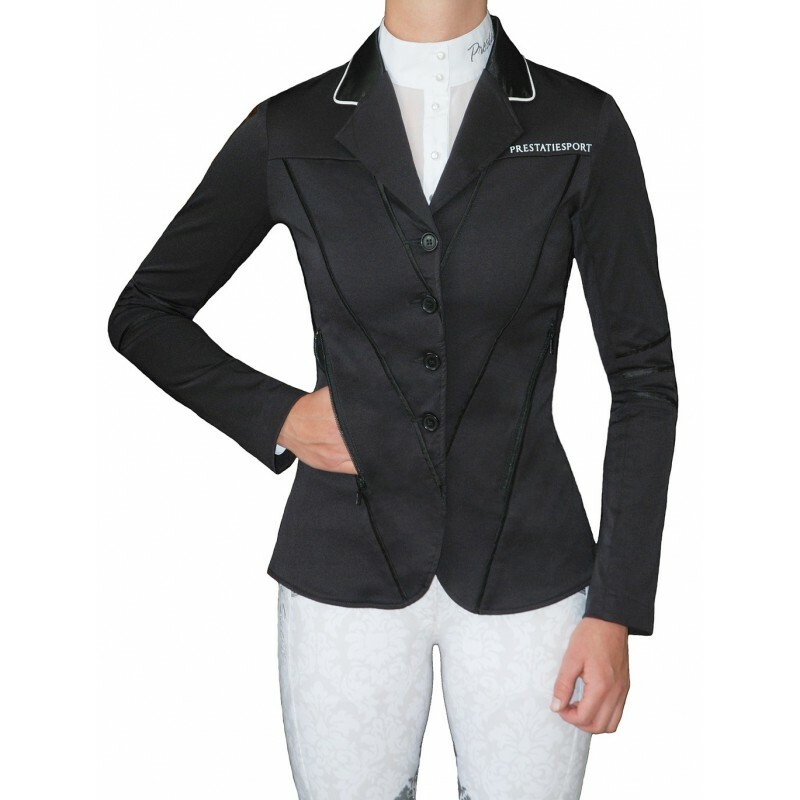 This technical competition jacket features flattering aysmmetric seams with satin piping trim. The fabric is extremely lightweight and stretchy, making it very comfortable and easy to wear. This style comes up on the smaller side, so if you are between sizes we advise to go up.